Of the many sub-genres and styles of K-dramas, we’re always up for a good sageuk: the intriguing plots of political power struggles and dreamy royal romances never fail to leave us addicted, binge-watching episode after episode. 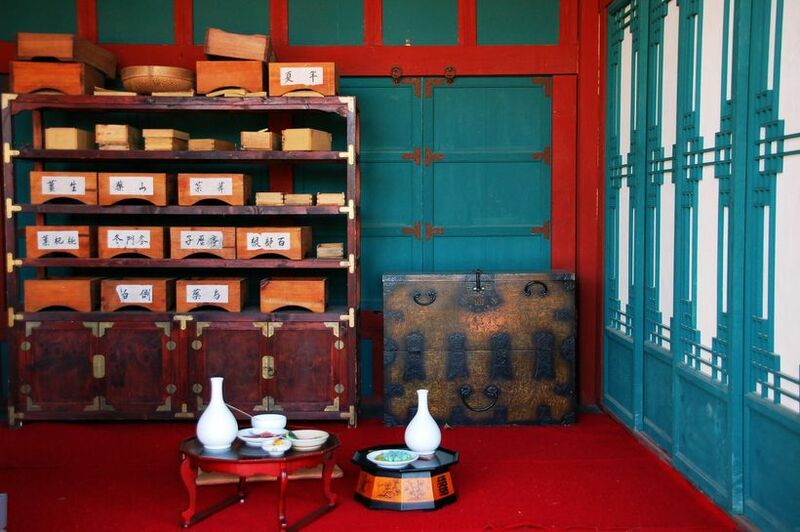 Set in both sprawling palace grounds and humble traditional villages, you’ll feel as if you’ve been transported back in time to the Joseon Dynasty. Well, did you know that you can actually experience the enchanting scenes of your favourite period K-dramas in person? 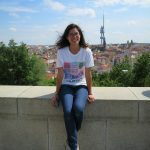 Many sageuks were shot in existing historical landmarks or similar places, and are a great way to learn more about the various dynasties of Korea’s past. You can even participate in traditional ceremonies or admire these stunning landscapes in Seoul and the surrounding regions. 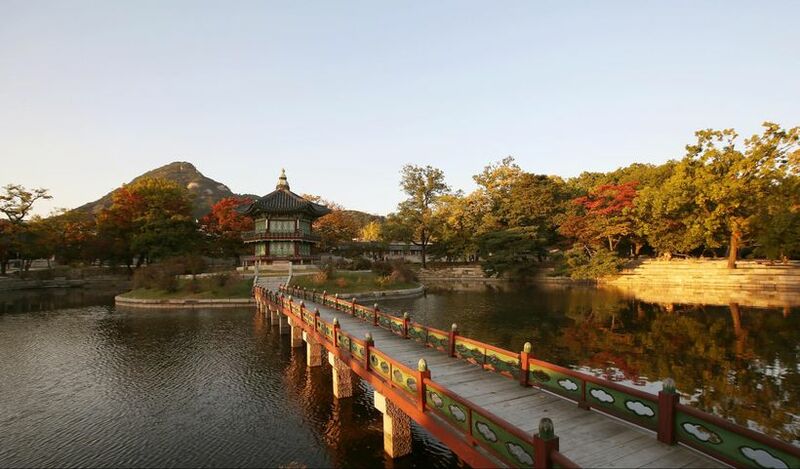 While visiting Gyeongbokgung Palace, take some time to explore its idyllic pavilions and ponds. The beautiful Hyangwonjeong Pavilion sits atop a private island accessible from the palace grounds by the Chwihyanggyo Bridge, and used to be the king’s informal place for rest and leisure. Getting there: Walk straight in from Gwanghwamun Gate; the pavilion is located past Gyotaejeon Hall And Amisan Garden. Admission Fee: ₩3,000 adults (ages 19-64); ₩1,500 children (ages 7-18). Free admission for preschoolers aged 6 or under, seniors aged 65 or older, people wearing hanbok, and the last Wednesday of every month (Culture day). Opening Hours: 09:00 – 17:00 from Nov-Feb; 09:00 – 18:00 from Mar-May; 09:00 – 18:30 from Jun-Aug; 09:00 – 18:00 from Sep-Oct.
Take a trip through ancient history at Dae Jang Geum Park, a hallyu theme park which transports you back into the past. The park is the largest historical drama set in Korea, reconstructing the traditional architecture, household items, and lifestyle of the Goryeo and Joseon kingdoms. It was also a filming location for numerous period dramas, such as Empress Ki and Moon Embracing the Sun. Getting there: From Yongin Bus Terminal, take Bus No. 10 and get off at Baekam, then transfer to Bus No. 105 and get off at MBC Set Bus Stop. Tours to the park from Yongin and Seoul are also available. Admission Fee: ₩7,000 adults; ₩6,000 middle & high school students; ₩5,000 elementary school students. Free admission for children under age 4. 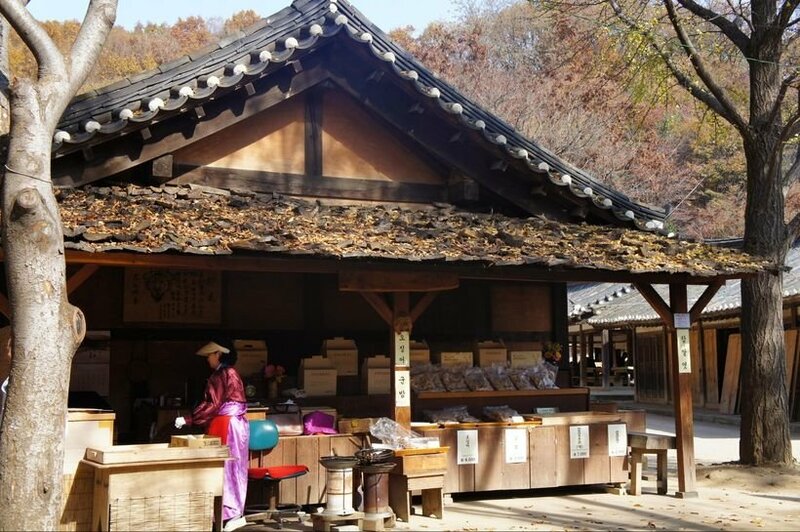 Opening Hours: 09:00 – 18:00 from Mar-Oct; 09:00 – 17:00 from Nov-Feb.
For a complete immersion into the traditions and lifestyle of the Joseon Era, this charming Korean Folk Village should be your first stop. This village has it all – participate in folk games and handicraft workshops, try authentic rice cakes like injeolmi in the Street Market, or attend a traditional Korean wedding ceremony. Getting there: Accessible by subway + bus from Seoul. From Gangnam station, take Exit 10 and take Bus No. 5001-1 or 1560 to Korean Folk Village. Shuttle bus services are also available from Suwon Station and Sanggal Station. Admission Fee: ₩18,000 adults (ages 19 and over), ₩15,000 teenagers (ages 13-18), ₩13,000 children. Opening Hours: Open year-round from 9:30 – 17:30, but weekends and summer months have extended opening hours; check the website for more details. Namsangol Hanok VIllage is best known for its delicate restoration of traditional Korean hanoks (traditional Korean houses). You’ll get a real taste of village life by exploring the interiors of commoner’s houses and the residences of high government officials, in the natural tranquillity of the surrounding forests and Namsan Mountain nearby. If you’d like to escape the crowds at Bukchon Hanok Village, then head over here instead! Getting there: Alight at Chungmuro Station (Seoul Subway Line 3 & 4) and take Exit 3 or 4. Walk along the road between the Chungmuro Media Center and Maeil Business Newspaper Building (150m). Opening Hours: 09:00 – 21:00 from Apr-Oct; 09:00 – 20:00 from Nov-March. The traditional garden is open all day. Fans of Goblin might recognise these dreamy fields, where Kim Shin picks the buckwheat flowers that he gives to Eun-tak when they meet for the first time in the first episode. 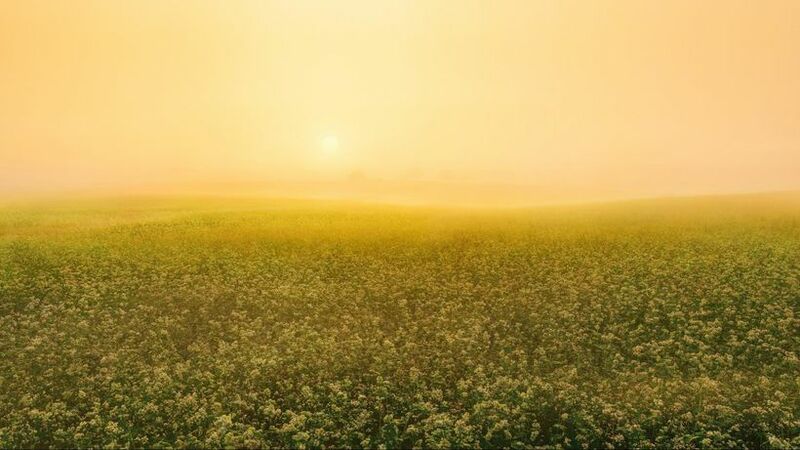 Visitors can enjoy the breathtaking vistas all year round; the fields are verdant with barley fields in the spring, sunflowers in the summer, and buckwheat flowers in the autumn. Address: 158-6, Hagwonnongjang-gil, Gongeum-myeon, Gochang-gun, Jeollabuk-do. Getting there: From Seoul, take the express bus from Central City Bus Terminal to Gochang Bus Terminal; the farm is a 30-min taxi ride away. An alternative bus route from Gochang Bus Terminal is available, going through Mujang and Seonsan. Opening Hours: Sunrise-sunset for the walking path; 09:00 – 19:00 for the restaurant. 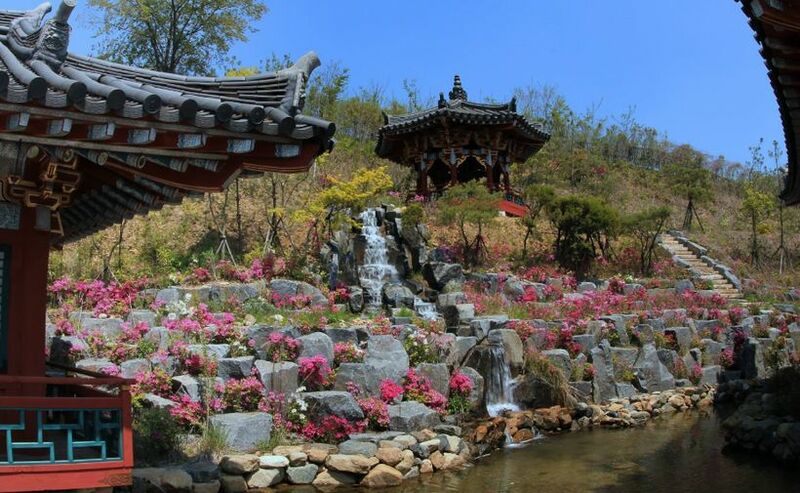 Gwanghallu Pavilion has its claim to fame as the meeting place of the two lovers in the Chunhyangjeon, one of Korea’s most famous folk tales. 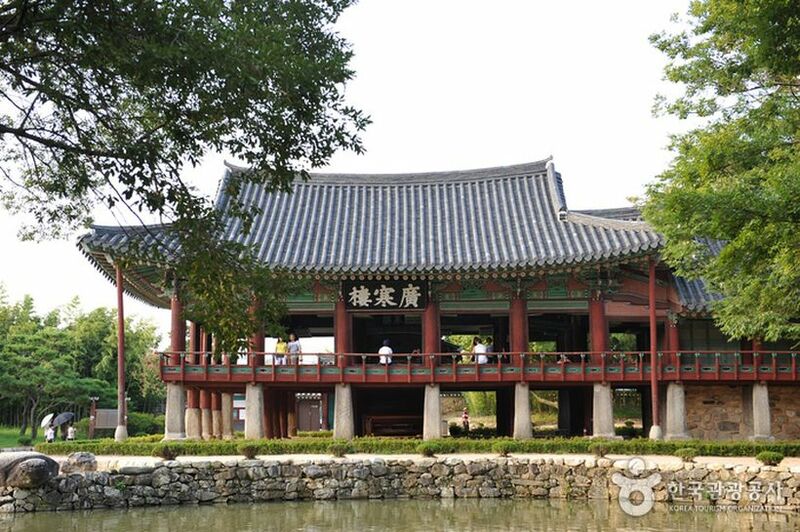 Named after a mythical palace on the moon and designated as a national treasure in 1963, this magnificent pavilion is one of the Joseon Dynasty’s most admirable architectural works and a hotspot for couples. Getting there: The pavilion is located within Gwanghalluwon Garden. From Central City Bus Terminal, take an express bus bound for Namwon Bus Terminal. Walk to Dotong-dong Sageori Bus Stop (about 200m away) and take Bus No. 220. Alight after 7 bus stops at Nammusaga, Standardchartered Bank (Jeil Bank) Bus Stop. Walk towards Gwanghalluwon Garden (450m). Admission Fee: ₩3,000 adults (ages 19-64), ₩2,000 teenagers (ages 13-18), ₩1,500 children (ages 7-12). Free admission for children aged 6 or under, seniors aged 65 or over, and for all visitors after 7pm (summer) or 6pm (winter). 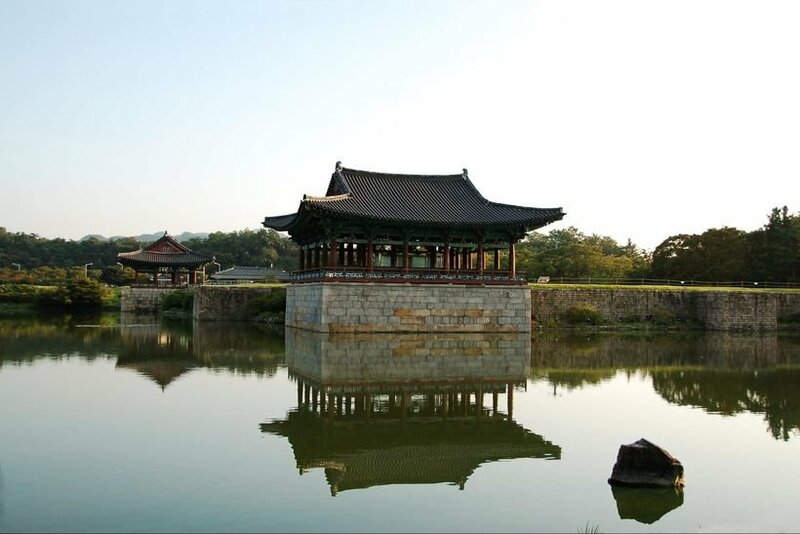 Gyeongju Doung Palace and Wolji Pond was a secondary palace site and home to the Crown Prince of Silla. The site is part of the Gyeongju National Park and a spectacular re-construction of regal Silla architecture. The main attraction is the crown prince’s palace, but historical relics excavated from the site are also on display at the Anapji Exhibition Hall. It offers an insightful experience into life during the Silla Dynasty in the Three Kingdoms period, as seen in dramas such as The King’s Dream and The Emperor of the Sea. Getting there: From Gyeongju Intercity Bus Terminal or Gyeongju Station, take bus 600 to the Anapji Entrance Bus Stop. 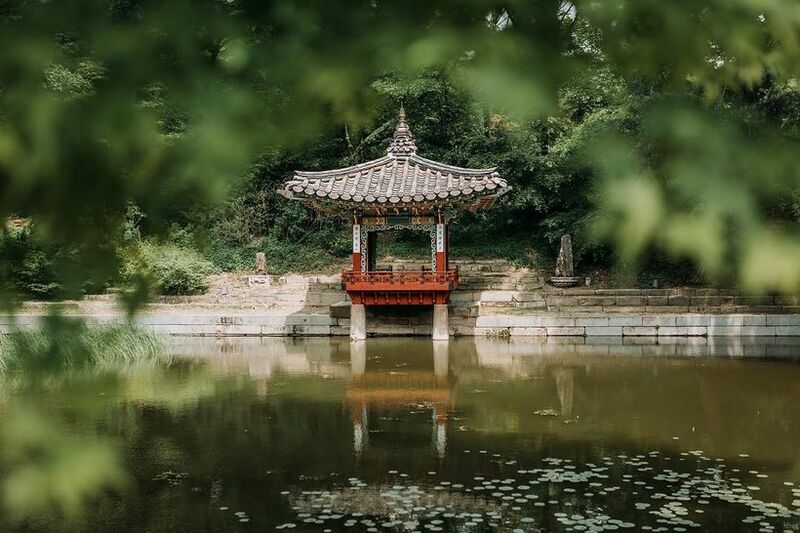 Tranquil as it is mysterious, Changdeokgung Palace’s Secret Garden is likely the highlight of your visit here. Rumoured to be the set for several garden scenes in wildly popular drama Love in the Moonlight, it is full of lush greenery that elegantly frames traditional palatial architecture. Tickets are limited and they sell out fast so book your visit here in advance! Getting there: The nearest station is Anguk Station and it’s a 10 minute walk from there. Opening Hours: 10:00 – 17:00, from Tue-Sun. Hours change depending on the month so check beforehand! 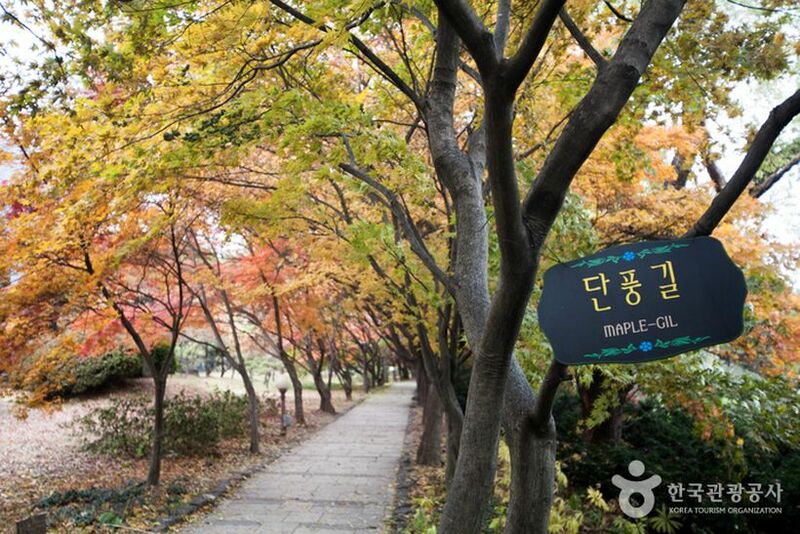 Spend an afternoon meandering through the walking trails flanked by maple trees and sculpture gardens in the Byeokchoji Botanical Garden. A stunning backdrop for your next Instagram photo, the carefully-curated landscaping took over 10 years to create. This should be a recognisable location for K-drama fans, as it is a staple filming location in dramas and movies like Descendants of the Sun and City Hunter. Getting there: Located in the countryside 15km east of Paju, the best way to get to the BCJ Botanical Garden from Seoul is by car or taxi (1h). Admission Fee: ₩9,000 adults, ₩7,000 teenagers, ₩6,000 children & seniors. Free admission for infants under 3 years old. Who can forget the iconic K-drama featuring the powerful and regal ruler of Silla Dynasty, Queen Seondeok? 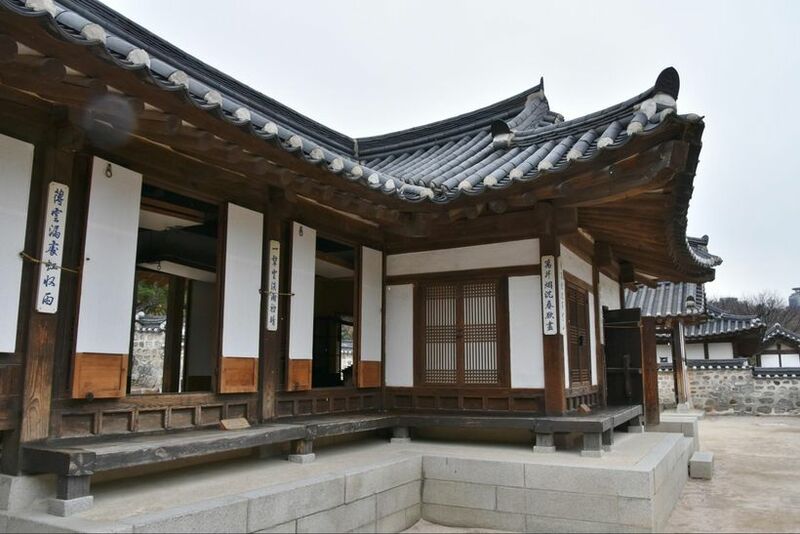 It’s certainly not an era that’s been lost to time, since the Shilla Millenium Park recreated architecture from the Shilla Dynasty so detailed, it was used as the filming set for the drama. Steeped in history and culture, visitors can learn more about Korea’s past with this visually arresting, interactive park. Getting there: Take bus 11 (Bulguksa) from Shinhan Bank Intersection station to Gyeongju World Culture Expo Park station and it’s a 10-minute walk from there. Excited to live out your own sageuk fantasies at these revered and historical palace grounds, parks or gardens? 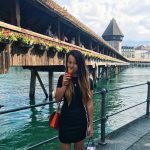 Add them to your must-visit list the next you head to Korea for a smashing good time, and delve into the rich intricacies of Korea’s traditional culture and history. It’ll definitely be an unforgettable experience!